What would you like to create or re-create in your life? A new career? A better body? A new skill? Adventure? Romance? Time for travel? Freedom? New friends? 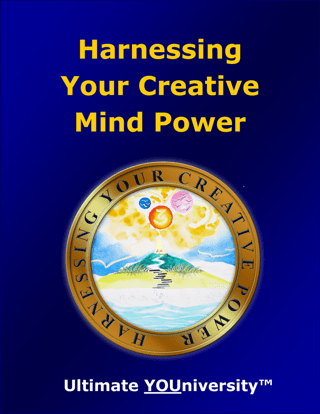 Harnessing Your Creative Mind Power is a guide to understanding and utilizing the incredible power of your mind. This unique book deals with both the conscious part of the mind and the “higher” mind that is not fully available to our consciousness. Your mind holds the key to creating anything you want. The Law of Attraction says, give energy to your dreams, and they’ll grow strong enough strength manifest. In Harnessing Your Creative Mind Power you’ll learn how to practice holding a grander vision of your future until you can see, hear, and feel every detail. This book will show you how to set goals, develop action plans, and assemble a team of like-minded individuals to help you manifest whatever you desire. The creative power of your mind can bring you anything you have ever wanted. Here is a complete guide to the best of life and greatest of accomplishments—from conception to fulfillment. If your life isn’t unfolding the way you wish it would, it’s time to harness your mind’s creative power! Everything that exists in the world today was once an idea in someone’s mind. If it can’t be conceived, it can’t be achieved. Thus, if you want something – job, money, relationships, health, a different lifestyle, peace of mind, creative work that’s successful – you have to start by harnessing your mind. “Getting your bricks in a pile” is what we say on the farm. How can you build anything if your bricks are scattered all over? You have the power to draw to yourself anything you want or need in life, and you do this by learning to focus your mind and coordinate your thoughts and actions. Generally, this is not something that was taught in high school, although some people do it naturally. For many, however, one day we want a great love, the next we want great sums of money, the next we want to spend our life trekking freely through exciting foreign lands, and the next we’re feeling guilty because the grass isn’t mowed, the laundry is piling up, and the reports the boss asked for aren’t done. We end up scurrying around, snipping at others to leave us alone, resenting everything, and then the cycle starts over. Meanwhile, we remain unaware that we are sending out terribly confusing messages to the Source of all creation. Harnessing your mind is a combination of knowing what to do, being disciplined enough to do it, and being aware enough to begin noticing the signs of change and practice gratitude for these. It means “acting as if” you already have what you have decided to create in your life. Each of us is overflowing with creative power, yet often we hold the attitude that it is limited, or is something we generate by ourselves. The truth is that Mind has no limits, is an eternal presence within you, and when you make a clear decision or create a clear vision, and hold your attention on it, you are working with a power much greater than yourself. To tell yourself that some things are too difficult to get may be a statement about what you are willing to receive, but it is not a true statement about the great Mind of which you are part. Miracles unfold when you simply acknowledge your desire, allow yourself to feel gratitude and joy in the thought of having it, and accept it into your life. What would you like to create or re-create in your life? A new home in a different part of town, or perhaps the country? A new career? A different shape for your body? A new skill such as photography, woodworking, writing, investing, or something else? Adventure? Romance? Time for travel? Do you dream of having freedom? New friends? Or the simple things like a new set of cups, a different hair color, or the courage to dress in some way that makes a statement about your heritage or beliefs? To harness the power of your mind, you must know yourself deeply and set priorities for yourself. Otherwise, you will end up creating “conflicting wants.” You can’t want marriage and dating others. You have to choose one or the other or you’ll end up feeling bad. You can’t want a big savings account and then spend with abandon while expecting your spouse to keep increasing the savings account. You’ll end up being accused of manipulation and again feel bad. You can’t refuse to educate yourself then blame the world when you can’t get a good job or find interesting work. If you really don’t want a formal education, then recognize that you’re choosing to limit your possibilities. Develop yourself in some other way. A college degree is not a necessity, but self-development is. Description of the powers of the mind to create. Information on the problem-solving powers of the mind. Stories showing ordinary people attracting just what they want. Put the incredible power of your mind to purposeful, focused use. Discover that you may already be doing most of what will manifest your dreams—you just need to become systematic and complete. 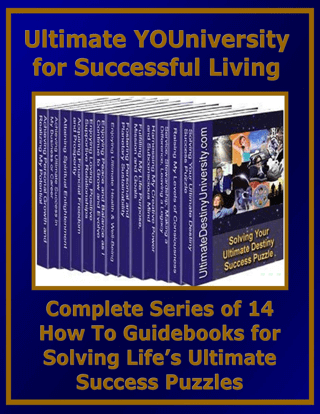 Apply the unbounded power of your mind to solve even long-standing problems in your life. Learn to do it with ease. Learn how to attract to yourself whatever you most desire. See how ordinary people have been able to attract what they dream of─and that you can too. 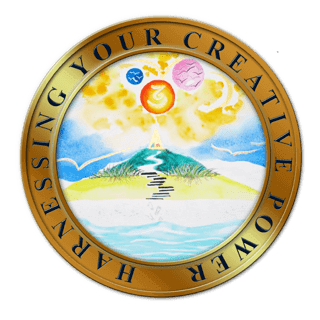 Harnessing Your Creative Mind Power also includes featured resources including printed and digital book, audio and video programs, seminars, workshops, webinars, tele-seminars and live events from some of the top resource providers in the world. Harnessing Your Creative Mind Power is a Treasure Chest packed with 110 pages of original content, fun and insightful self discovery assessments, Master Goals Setting Forms, Implementation Action Planning Exercises and several FREE BONUSES. It is now available at introductory sale prices as an E-book or printed book. Harnessing Your Creative Mind Power includes pre and post self-assessment quizzes, featured resources, application exercises and tools for planning what priority action steps to take to achieve your ultimate success in this area of successful living.